All and Sundry: The benefit of being a millionaire: Noisy is La Mer: Camel balls: and food on the edge. The benefit of being a millionaire: Noisy is La Mer: Camel balls: and food on the edge. Positive scrapey-scrapey stuff, negative lack of cold stuff, minus atmospheric movement and just a glimpse of Dawn’s crack this non April fool’s day at the Castle this morn, spent the bank holiday doing sod all, but I did go for a 75 mile drive on the traffic free highways in the sunshine to loosen up the Honda and charge its battery. 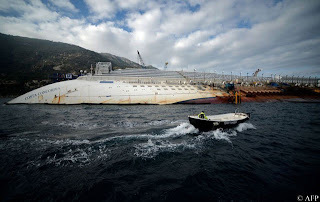 I have been thinking of changing the motor for something a bit less old-it’s not going well, so far all I can find are vehicles that have road tax approaching the deficit and insurance that would cost more than Cyprus’s debt. Just returned from the stale bread, gruel and his Maj’s food run dahn Tesco, stale bread is now £1.45 per loafy thing, gruel is £0.97 per tinny thing and ten days ago Whiskas meat in gravy was £3.68 or 2 for £6.00, last Thursday it was £3.38 or 2 for £6.00and today it is £3.00 each box, roll on next week, they will be giving it away. Otherwise known as the Irritable Bowel Twins reckons that they could live on 53 squids per week (if they had to); he said the Government’s changes to the benefits system were designed to make it “fair”. Payments would continue to rise, albeit by a below inflation at one per cent a year, when they were actually being cut in some other countries, he insisted. But earlier on BBC Radio 4’s Today programme he was challenged by a man who earns less than £53 per week. David Bennett, 51, set up a market trading business three years ago after being made redundant as a credit manager. Despite working up to 70 hours a week, on some days he earned nothing at all. But the £2,700 the divorced father of two made last year means he no longer qualifies for the full £75 a week housing benefit towards his privately rented flat. 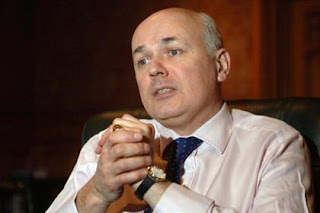 The subsidy has been cut to £57 a week and he also has to pay council tax of £5 a week for the first time. Soon afterwards, an online petition was launched challenging Mr Duncan Smith to prove himself and the Tories’ claims that “We’re all in this together”, by living on £53 a week or £7.57 a day for at least a year. Posted on the change.org international internet petition site, it quickly gathered more than 11,000 names. Go on sign it-I have. Apparently complaints by cruise ship passengers include one by a woman who moaned about the sea being "too loud", it has been revealed. One woman, having seen that Take-That star Gary Barlow had been on her ship on an earlier trip, demanded an explanation as to why the singer was not on her voyage. Then there was the man who complained about not getting "an impressive tan" and being unable to swim in the pool each day while on a trip around ... Alaska. A woman travelling with the company called Celebrity Cruises asked for a refund as there were "no celebrities on board", while a couple wanted compensation after forking out "a lot more money than planned" on staff tips due to the excellent service. She demanded cabins be "better sound-proofed against the sounds of the sea". 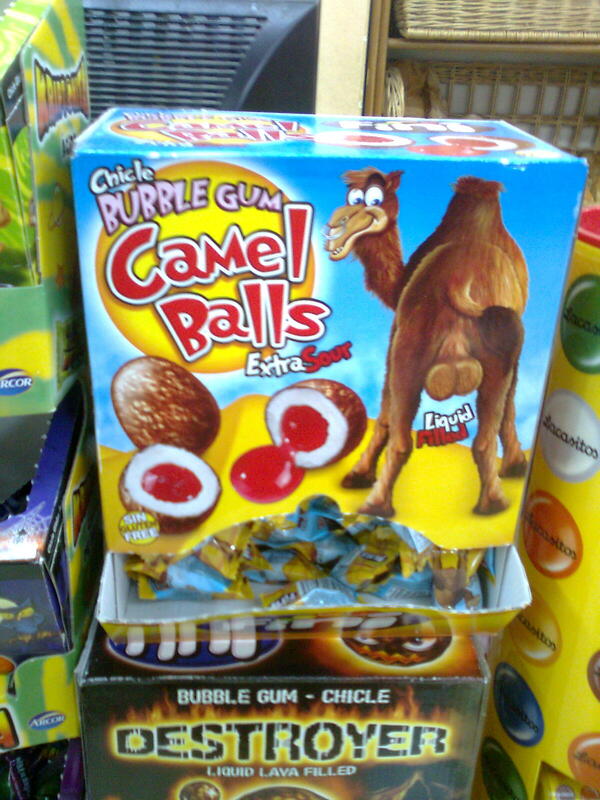 A mum got the hump after her seven-year-old daughter was sold a pack of bubblegum called Camel Balls. The gum is not only shaped like them, but there is also a graphic picture of a camel’s backside on the packet. 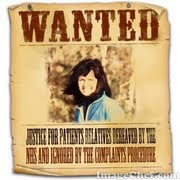 Ruby McKenzie’s mum Charlene, 26, said: “I was disgusted as I think that it’s totally inappropriate. “I am more upset with the company that makes the gum than the shops that sell it. “It’s OK for adults and a bit of a laugh, but I can’t see the funny side when they are kept in the sweet section of shops where children like Ruby will see them,” added Charlene, of Birmingham. Paul Southam, managing director of Fini Sweets UK, which distributes Camel Balls, said as a parent he had faced a “moral issue” before agreeing to the deal, but had received only one complaint. 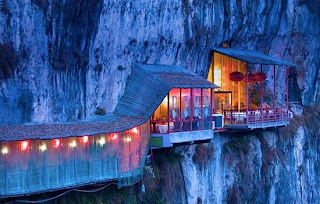 There’s a particular mountain in the Hubei Province, 12 km north of the city of Yichang, where you can actually experience fine-dining on the side of a cliff. Located in the Happy Valley of Xiling Gorge, the Fangweng hanging restaurant offers a breathtaking view of its natural surroundings to adventurers brave enough to set foot in it. The brick building that acts as an entrance to the Fangweng Restaurant leads the 30-meter-long narrow concrete bridge hanging on the side of a vertical cliff overlooking the Yangtze River. Luckily, there’s a metal railing you can grab on to while you crawl your way to the actual restaurant. The bridge leads to a dining hall carved into the cliff-side, where most of the tables are set. Warmly lit by traditional lamps hanging from the ceiling and decorated with Chinese furnishings, the cave itself is a sight to behold, but the main attractions of Fangwen are the two concrete platforms extending away from the cliff, from where diners can see all the wonders of Happy Valley or watch bungee jumpers as they leap off a nearby bridge. His dad Sir Peter co-founded luxury wallpaper and fabrics company Osborne & Little. George has a trust of 15 per cent and stands to inherit a substantial share. In 2003, when the firm delisted from the London Stock Exchange, it was valued at £12.9m. 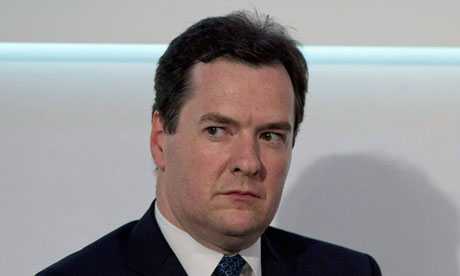 George and wife Frances have a home in London's Notting Hill worth around £1.8m and a constituency property (£500k). Her father is life peer Howell of Guildford, a former Minister in Margaret Thatcher's cabinet. And earns £134,565 as Chancellor - just over £15,000 short of 50p tax threshold. After 50 years of work pensioners get around £7,500 per year (plus a few extras). "That’s it: I’m orf to interrogate the fish in the freezer"
Me too. Hope it isn't seahorse. The loudness of the sea - love it. A walk over that bridge is likely to put me off my dinner!! Me too James, I find that the sound of the sea calms the soul.